He had a boat; she needed a ride. The long way home became a ride that would change their lives forever. When Meg was stranded in the Caribbean, her life was dramatically changed through an encounter with an old friend that turned into adventure, danger, discovery, and love. Meg Freeman and Jon Davenport began a surprising adventure connected to a 17th century, shipwrecked Spanish galleon. Both Freeman and Davenport had experienced the sorrow of losing a spouse, but they found true friendship as they joined together to search for treasure, which ended up being more than gold. Join this couple’s adventure of romance and suspense where a simple lift turned into a ride they would never forget. 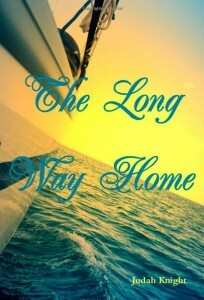 The Long Way Home is available as a free Kindle download from Amazon Monday, 3/31/14 and Tuesday 4/1/14. As of this writing, the book has an average of 4.4 out of 5 stars from 457 reviewers. For more free eBooks, check out our 10 Websites to Download Free eBooks list, as well as our Free eBook of the Day archive.